Lulu's Inn is a traditional American restaurant with a rustic interior. We love the dark wooden accents all throughout the area, as well as the ambient lighting. The large dance floor is a welcome destination after a few of their strong drinks here. There are two bars here, as well as a patio to enjoy the warmer weather, and three horseshoe pits for entertainment. If you know how to dance, this is the place to be. 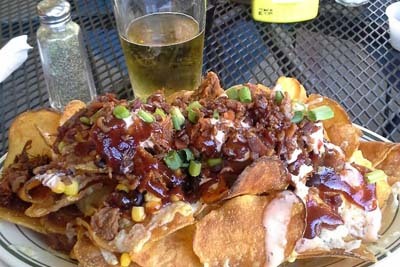 We really love their dish of BBQ Nachos, they come with house made potato chips that act as the tortilla strips. 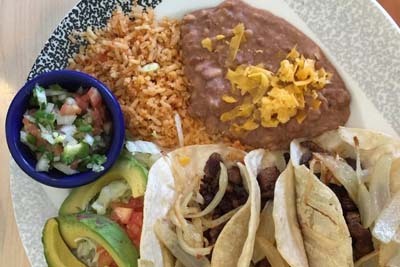 Antigua Mayan Grill is going to blow your mind with authentic Mexican offerings with the freshest ingredients you could imagine. The Steak and Shrimp Platter is an affordable way to enjoy the best of surf and turf. They've recently reopened, so you can really take advantage of their customer service right now. They're currently working on their liquor license, but we have a feeling that they're going to have the margaritas flowing soon. They are always looking for their next biggest fan, so come on out and check out their food. Interstate Diner is a small town diner that is exactly what you're expecting out of an establishment like this. It's one of those buildings that seemingly blends in with its surroundings, but trust us when we say that the food is anything but normal. 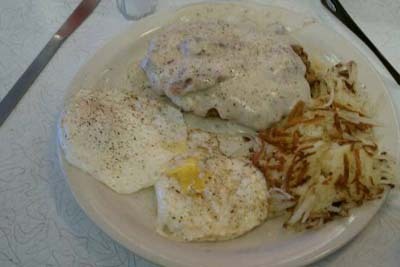 We love their Chicken Fried Steak here, as well as their home made muffin options. The locals who eat here are usually bikers, but trust us when we say that the atmopshere is always welcoming between the patrons and staff. We can't get enough of their crispy Hash Browns dish here. Mi Tierra Restaurant is out favorite Mexican restaurant in the area! 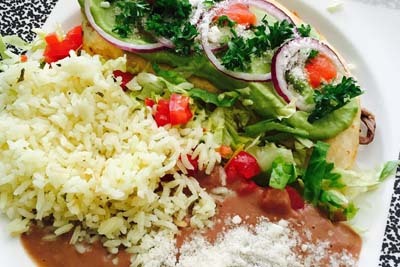 Carne Asada is the name of the game here, as this type of restaurant goes above and beyond what you're expecting. The prices are always fair here, and the restaurant is spacious inside. For these reasons, you can't get any better than this! If you're looking for a destination to bring a large group, there's no other options. You can even ask for extras like guacamole and sour cream for free. Ask if they're having any specials on margaritas when you come. 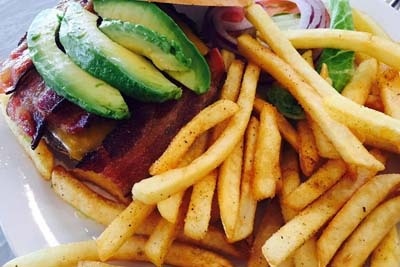 Aviator Bar & Grill is a new American destination for food and drink in the area. Whether you're looking for a quick breakfast, a lunch to impress, or an affordable dinner, there's something for you to enjoy here/ We love that the salads here come on plates that are bigger than your head, so you really feel like you're getting your fill of healthy ingredients for the day. If you aren't trying to watch your waistline, then you're really going to enjoy their options of fried foods such as Fried Oreos and Deep Fried Pickles. If you happen to be in the Denver airport, there's no better place to eat than Root Down! There are all different types of innovative dishes for you to enjoy here. 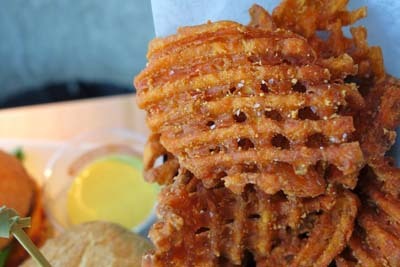 Some of the notable favorites from locals happen to be the Almond Buttermilk Pancakes, Sweet Potato Waffle Fries, Lamb Sliders, and the amazing Jalapeno Sandwich. If you're in the C terminal of the airport or have friends and family in the area coming for a visit, this is a great way to welcome them to the area. Be sure to ask if they're running specials on lunch today. If you are still wondering about other aspects of our luxury vehicle service, please don't hesitate to contact us today. Our knowledgeable call center staff is standing by 24/7 to answer any and all questions you may have!